The holiday home (a renovated, 100 m² barn) is located in the natural park Périgord-Limousin (45 km from Périgueux and 55 km from Limoges), "vert Perigord" in the so-called (green because of all forests) and offers quite a lot of activities for families: visit to farms, walks in the woods or on the lawn, walking, cycling, swimming in the lake, fishing in the rivers, visits to castles ... and above all, you will take from the everyday (maybe urban) stress distance and for forgot a few days! Are you a nature lover, you love the rural tranquility, the chirping of birds in the morning and watching the stars on warm summer evenings with a glass of wine on the terrace? Or are you more interested in history and like to visit castles and prehistoric caves? Or are you of the French gastronomy excited (foie gras and confit de canard are namely regional specialties!)? 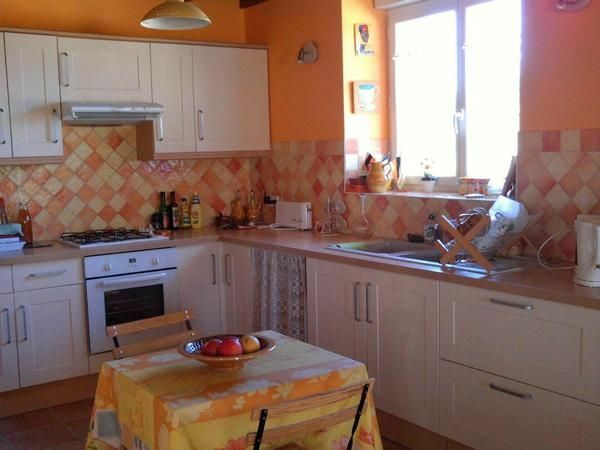 Or you are a Francophile family and would like to enjoy the atmosphere of a typical, quiet village in the countryside? The house is in fact equipped for children (high chair, wheel, small bicycle, many games for the yard and the terrace, fenced area). Then this accommodation for you and your family (or friends) is just right! Of course you can also organize a day trip to the south of the department: Sarlat (65 km) to the Dordogne valley or to Bergerac (70 km) to make a wine tasting in Monbazillac. You have in the village a bakery where fresh baguettes (for 80 cents!) can buy or crusty country bread. A grocery store with a small post office department 6 days a week. Of course, you can enjoy shopping in La Coquille (8km) in the supermarket, but the market of Thiviers (10km) offers the tastiest Saturdays Périgord specialties and enjoys a very good reputation in the region. Do you want to discover the Périgord? You would be very welcome with us! - Final cleaning: once per object costs in the amount of 40 EUR (optional). - Towels: to bring once per person from the tenant (compulsory). - Bed linen: to rent once per person for 5 EUR (optional). The village has about 700 inhabitants, is very nice and well maintained. Bed linen (once per person, available 5 EUR). Final cleaning (once per object, costs of 30 EUR).